In order to aid a physical therapist who has to give public speeches (which she fears greatly), a combination of systematic desensitization, positive instruction, and behavior rehearsal with feedback were successfully used to ease her anxiety and teach her practical skills. The combination increased her expectation that she could be helped and it is theorized that it may also be responsible for subjective as well as objective signs of a reduction in anxiety. A widespread and debilitating fear for many people is the fear of public speaking. Fortunately, a variety of behavioral treatments have been found to help those with this fear. Therapists have used systematic desensitization (Paul, 1966; M. E. Jaremko and W. W. Wenrich, 1973; Zenmore, 1975), assertive training (Sanders, 1967; Humphreys and Berman. 1975), and in vivo desensitization (Gurman, 1973) with successful results. Therefore, when Ms. S. sought help for this problem, there were a variety of sources to turn to for help. As systematic desensitization is a highly successful therapy having substantial empirical support, the facilitator chose this technique to be the main thrust of the treatment. It was also decided to include a combination of positive instruction with behavior rehearsal. This decision came from several studies showing that proper rehearsal and preparation of the speech as well as objective feedback from others also reduced public speaking anxiety as well as increasing the subject’s personal confidence (Baker, Sandman, and Pepinsky, 1975), and that to combine these factors with systematic desensitization may be more effective than using any of them alone (Vrolijk, 1975; Sherman, Mulac, and McCann, 1974). The facilitator also used this combination because, as the client’s history will show, new skills had to be learned if the client’s fear of ruining her speech were to remain unrealistic in the future. It was important for Ms. S. to be given assurance that she could be successfully helped before beginning treatment. She had never had difficulty speaking before a group of people until the eighth grade. She even remembers volunteering to give reports in elementary school. The client is now a physical therapist in charge of the pediatrics unit at a large local hospital. She has a position of some responsibility which calls for her to make occasional public speeches. Once a week, all the physical therapists in the hospital (about 12 people) get together and give small, informal presentations called chart rounds. The history, treatment, and progress of the patients presently being treated are given and discussed. The staff does not usually question each others reports. Because Ms. S. feels she is not the only one who has to speak, she does not feel nervous in this situation. The informal atmosphere relaxes her. However, she is also expected to give a formal 45-minute presentation called an “inservice speech” to all staff in her division at least once a year. The inservice speech is given in a small lecture room to about 25 people on a topic of her own choosing related to her field. The last inservice speech she gave was in November, 1976, and she was scheduled again to give another speech the first of December, 1977. The client told the facilitator that she enjoyed the research and preparation of her presentation last year and would give more speeches if she weren’t so anxious about giving them. Ms. S. usually wrote the speech the night before she was to present it and then put it away without looking any further at it until right before she was to present. She does not write the speech out first but uses an outline on notecards. The night before her speech she is aware of feeling a little tense; in college she would get headaches. The speech is scheduled for the last hour of that working day at 4:00. During the day, Ms. S. tries to put the speech out of her mind as much as possible. By 1:00 – 2:00 p.m. this is no longer possible and she can feel tension in her jaw, neck, and shoulders. She finds herself thinking that others will be able to see her hands shaking while speaking and see how nervous she is. She finds herself extremely talkative with her last patient at 3:00 p.m. Members of the audience begin to gather around 4:00 p.m. and there is casual conversation until the speech begins at 4:10 p.m. At this point, the client is extremely nervous and then goes over her speech for the first time. She is very aware of how nervous she is and finds it hard to converse casually with others in the room. When she begins her speech, she is “super-aware of everything, but I feel not in control of anything.” This is a very big change in her, she feels, because she perceives herself as normally much more of a daydreamer and not as attuned to her environment. Ms. S. also experiences an unpleasant “hot rush” when she first begins speaking. It does not cause her to feel faint but her heart rate greatly increases. She sometimes forgets what she will say next while speaking but there are no unusual pauses. She speaks quickly and makes what she estimates as “fair” eye contact. Her body remains tense and stiff throughout the speech. Much of the tension leaves as soon as the speech is over, but it still takes her one or two hours to clam down completely. The client had already taken other steps to overcome her anxiety by the time of her first session with the facilitator. She had enrolled in a night school course on public speaking which met once a week and had already given a three minute introductory speech to the class. She had felt very tense and her hands were shaking. The teacher had suggested improvements concerning her posture, eye contact, and hand gestures. She was to give two more speeches in this course before the date of her inservice speech. Other than public speaking, there are no other behaviors that are giving the client unreasonable difficulty. She is comfortable in familiar social situation and is not afraid to assert herself when annoyed or angry. Her career and social life seem to be equally balanced and she feels basically content with herself. She is also not called upon to given any formal speeches outside of those inservice speeches, though it is possible this could change in the future. Therefore, the ability to present herself effectively at her inservice speeches was the focus of treatment and new skills were taught which would carry over to any public speaking in the future. Two 40 minute sessions were arranged per week to devote exclusively to systematic desensitization to continue on as long as necessary. The initial session, however, lasted two hours. The client’s history was obtained and systematic desensitization, relaxation, and the SUDS scale (Wolpe and Lazarus, 1966) were thoroughly explained. The client was also shown procedures people generally follow when preparing for a speech (Gondin and Mammen, 1963). 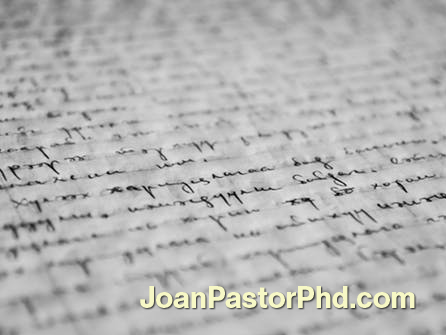 Ms. S. was unaware of what preparation went into a good speech; i.e., writing the speech far enough in advance so that it could be rehearsed and modified if necessary. The client was able to see that proper preparation and practice would reduce her rush at the last minute and also give more confidence. The client reported she put off preparing in advance because she wanted to avoid thinking of the speech as much as possible. Thus, even preparing made her very anxious. The facilitator decided to do two hierarchies for systematic desensitization; the first to surround preparation and the second to surround the days leading up to the speech and the speech itself. The first hierarchy was drawn up (Table One). Meanwhile, since Ms. S. had to give a ten minute speech for her night class in a few days, positive instruction were given. The speech was to be written out and put on notecards no later than two days before the class. It was then to be practiced alone two times, once in front of a mirror and once without the mirror. 1. First assigned speech. Due date December 1, 1977. 2. One week before speech is to be given, thinking must begin before writing speech on Saturday, November 26. 3. Day before speech writing is to begin. At work, thinking about it. 4. Day before speech writing is to begin. Morning at breakfast, thinking about it. 5. Night before speech writing is to begin. Painting room and thinking about it. 6. Saturday morning. Gathering writing materials and making tea. 7. Saturday morning. Sitting down at kitchen table and beginning preparation. 8. Working on speech, stops, reading what has been written over again. 9. Halfway through speech, stops. 11. Sunday morning. Finishing speech writing. 12. Saturday afternoon. Thinking that she will have to finish speech tomorrow. 13. Monday at work. Thinking that in 3 days she will have to give speech. 14. Monday evening. First, practice with mirror. 15. Tuesday evening. Second, practice alone, without mirror. 16. Tuesday at work. Thinking that in 2 days she will have to give speech. 17. Wednesday evening. Rehearsing speech in front of facilitator. 18. Wednesday at work. Thinking that tomorrow will give speech. Several hours before the night class met, the client and the facilitator met and the client gave the speech once before the facilitator. The therapist gave positive and constructive feedback on her rehearsal. Later the client reported she felt much more relaxed than before but had still experienced some panic. At the next session, the first official session using systematic desensitization, the facilitator gave Ms. S. training in cue-controlled relaxation. The client had already had a little training in self-relaxation in the past and had described herself as being able to relax deeply fairly easily on her own. She was already familiar with Wolpe and Lazarus’ method (1966) and stated that she would feel more comfortable with a less meticulous technique. Cue-controlled or conditioned relaxation was attained in two steps following the procedure suggested by Russell and Sipich (1973) in their case study involving test and speech anxiety. Ms. S. was given a review of deep muscle relaxation with training on particularly troublesome spots (lower back, shoulders, neck, jaw). Then the relaxed state was associated with deep breathing and a self-produced cue word “relax.” The first hierarchy was then begun and took four sessions to complete. During these sessions such avoidance behaviors as changing the presented scene for a more pleasant one, sudden rushes (while feeling her muscles remain completely relaxed), and falling asleep were systematically discovered and discouraged. At the beginning of the fifth session, the second hierarchy was drawn up (Table Two) and completed in three sessions. The last session ended one week before the inservice speech was to be given. 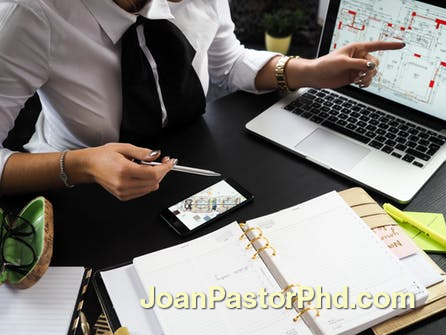 The client and facilitator made a schedule similar to the previously mentioned one of positive instruction and behavior rehearsal and it was carried out in the same manner as had been done for the ten minute speech given earlier. 1. Thursday morning at breakfast. Thinking today will give inservice speech. 2. Thursday morning car, driving to work. Thinking today will give inservice speech. 3. Thursday at lunch. Thinking that in 4 hours will begin giving speech. 4. Thursday at 1:00 p.m. With patient and thinks that in 3 hours will give speech. 5. Thursday at 1:30 p.m. With patient and thinks that in 2-1/2 hours will give speech. 6. Thursday at 2:00 p.m. In-between patients and thinks that in 2 hours will begin speech. 7. Thursday at 2:30 p.m. With patient, sees clock and realizes that in 1-1/2 hours will begin speech. 8. Thursday at 2:45 p.m. Realizes that in about an hour will begin speech. 9. Thursday at 2:50 p.m. Same as above. 10. Thursday at 3:00 p.m. In between patients, realizes one hour to go. 11. Thursday at 3:10 p.m. Working with patient, sees clock. 12. Thursday at 3:20 p.m. Same as above. 13. Thursday at 3:30 p.m. 30 minutes to go. 14. Thursday at 3:40 p.m. 20 minutes to go. 15. Thursday at 3:45 p.m. 15 minutes to go. 16. Thursday at 3:50 p.m. 10 minutes to go. 17. Thursday at 3:55 p.m. Last patient of the day is leaving. 18. Gathering materials needed for speech, locking office door, preparing to leave for lecture room. 19. At doorway of lecture room, still outside in hallway. 20. At doorway, looking into room and seeing people there. 21. Preparing to begin speech at front of room, facing audience. 22. Talking to people before beginning speech. 23. Beginning speech, taking some deep breaths. 25. In middle of speech, talking and showing slides to audience. 26. End of speech, answering questions from audience. Ms. S. reported that she experienced no anxiety while preparing the speech. She also felt no discomfort practicing it alone or in front of the facilitator. The night before the inservice speech was to be given, she felt no tension and during the next day, when she thought about the speech, she did not try to block it out of her mind. She reported that she did think about the speech more than she had in the past but she felt much less afraid because she was well-prepared. Before the speech she was able to chat with people in the audience and felt only a slight tension in her jaws. Once she began the speech, she relaxed completely and felt very aware of herself and also in control of herself. She felt that treatment had been successful. Although this study is an uncontrolled application of multiple techniques to a specific behavioral problem, thus making it hard to functionally analyze the contributions of individual treatment components, the case does point to the possibility that effective combinations of behavioral techniques could be more helpful to the client. A flexible and knowledgeable attitude towards a variety of proven therapeutic methods available could offer increased chances of meeting the specific needs of the individual seeking treatment. Ms. S.’s subjective report at the end of treatment about her feelings and behavior suggested that systematic desensitization, positive instruction, and behavior rehearsal were equally effective in reducing her fear of public speaking. All worked on different components of her fear to give an increased sense of mastery over her anxiety. However, because she had already had relaxation training in the past and it hadn’t helped the behavior before (it was not applied in connection to the behavior), she was at first very skeptical as to whether systematic desensitization could work. Because it has been shown that the success of a treatment is significantly influenced by the client’s expectations (Bootzin, 1971: Woy and Efran, 1972; Meyer, 1975) the facilitator made sure that the client knew that this method had been very successful in the past, and she also gave positive feedback concerning Ms. S.’s own progress with systematic desensitization. By the middle of treatment, Ms. S. saw how she was able to imagine scenes calmly, which previously had disturbed her greatly and this became self-reinforcing. After her inservice speech she stated how she felt each helped; positive instruction gave her increased knowledge and skills, behavior rehearsal, and positive feedback increased her self-confidence, and systematic desensitization made her calm enough to put what she learned and felt to use. How dependent the success of this particular treatment plan was with this client’s expectation that she would get better is difficult to determine. It appears that such mutual dependence was present. How much any one technique was dependent on such is also hard to determine, but it should be pointed out that “in the studies where expectancy effects were reported, significant effects of systematic desensitization in the absence of positive instructions were also the rule” (Rimm and Masters, 1974, p. 73). Keeping this in mind, it was true that Ms. S. first began to feel a lot more hopeful about the treatment after her ten minute speech which was given before systematic desensitization even began. But it was not until she was well into treatment that she began to see her own progress. One possible explanation is that systematic desensitization is a more unusual type of treatment than the others used in this study and that people are prone to be suspicious of that which is unfamiliar to them. Here, some relationship between expectancy and amount of progress in systematic desensitization appeared and it deserves further research. There have been experimenters who have been curious to determine whether the reported anxiety reduction is truly the experience of the person with the fear. Sanders (1967) showed two forms of behavior rehearsal and systematic desensitization to be equally effective in reducing objectively rated anxiety and all equally, effective in reducing subjectively rated anxiety. In this study, behavior rehearsal was confined to role playing around a hierarchy. No mention is made of controlling for positive instruction or positive feedback. Though Ms. S. was not given pretest and post-test on an anxiety measure, she reported a subjective drop in anxiety and members of her night course in public speaking reported a more confident appearance to the audience. Though it cannot be ascertained here, it is possible that the two additional variables that Sanders did not report using may contribute to a subjective reduction in anxiety. Again, further research looking at the treatment factors in this study both in controlled combination and in isolation is necessary, not only to benefit those with a fear of public speaking, but for those with other anxieties as well. Baker, W. M., Sandman, C. A., and Pepinsky, H.B. Affectivity of task, rehearsal time, and physiological response. Journal of Abnormal Psychology. 1975, 84, 539-544. Bootzin, R R. Magnitude and duration of expectancy effects in behavior modification. Paper presented to the 1971 convention of the APA. Gondin, A., and Mammen, H.C. The Art ofSpeaking. New York, Doubleday & Co., Inc., 1961. Gurman, Ala S. Treatment of a case of public-speaking anxiety by in vivo desensitization and cue-controlled relaxation. Journal of Behavior Therapy and Experimental Psychiatry, 1973, 4, 51- 54. Humphreys, Lewis, and Berman, Irving. The application of multiple behavioral techniques to multiple problems of a complex case. Journal of Behavior Therapy and Experimental Psychiatry, 1975,6,311-315. Jeremko, M.E., and Wenrich, W. W. A prophylactic usage of systematic desensitization. Journal of BehaviorTherapy and Experimental Psychiatry, 1973, 4, 103-105. Meyer, V. The impact of research on the clinical application of behavior therapy. Rivista di Psichiatria, 1972, 7, 256-276. (Journal Abstract). Paul, G. L. Insight vs. Desenstization in Psychotheraphy: An Experiment in Anxiety Reduction. Stanford, California: Stanford University Press, 1966. Rimm, David C., and Masters, John C. Behavior Therapy: Techniques and Empirical Findings, New York: Academic Press, 1974. Russell, Richard K., and Sipich, James F. Cue-controlled relaxation in the treatment of test anxiety. Journal of BehaviorTherapy and Experimental Psychiatry, 1973, 4, 47-49. Sanders, B. D. Behavior rehearsal and imaginable desensitization in reducing public speaking anxiety. Unpublished doctoral dissertation, Stanford University, 1967. Abstract taken from Rimm, D. C. and Masters, J. C. Behavior Therapy: Techniques and Empirical Findings. New York: Academic Press, 1974, p. 116. Sherman, A. Robert, Mulac, Anthony, and McCann, Michael J. Synergestic effect of self-relaxation and rehearsal feedback in the treatment of subjective and behavioral dimensions of speech anxiety. Journal of Consulting and Clinical Psychology, 1974, 42, 8 19-827. Vrolijk, A. A comparison of several strategies for the reduction of systematic desensitization anxiety. Nederland’sTydschrift voor de Psychologie en haar Grensgebieden, 1975, 30, 149-169. Journal Abstract. Wolpe, J., and Lazarus, A. A. Behavior Therapy Techniques: A Guide to the Treatment of Neuroses. Oxford: Pergamon Press, 1966. Woy, J. Richard, and Efran, Jay S. Systematic desensitization and expectancy in the treatment of anxiety. Behavior Research and Therapy, 1972, 10, 43-49. Zenmore, Robert. Systematic desenstization as a method of teaching a general anxiety-reducing skill. Journal ofConsulting and Clinical Psychology, 1975, 43, 157-161. If there is one quality human beings share, it is that we all experience stress. Life can be difficult and even when we CHOOSE to do something difficult, we still experience stress. I believe each one of us has what I call a “stress threshold,” a point when what is bothering us, or what may have been bothering us for a long time, begins to break down our natural defenses for coping. That is when we experience negative symptoms of stress. Already know how stress exhibits itself in your life? See our Stress Management Techniques listed below instead! If you recognize any of the below-listed symptoms in yourself, be grateful your body and mind are communicating to you. You have important information to use in the choices you make today. 1. Stress headache is a common sign you have exceeded your limits. 2. Caregiver stress. This is a biggie, much more than people think. You may be taking care of not only young ones or elderly parents, but two incomes may now down to one. And the person working often becomes the caregiver to the one who is not, and the wheel of stress goes ’round and ’round. 3. Anxiety or depression stress. People don’t realize this but anxiety can actually be a part of depression or occur alongside it. If you are feeling both highly anxious and depressed at the same time (or have signs of depression even if you don’t feel it), please seek assistance. This can be managed well, but you want the help of capable hands. 4. Stress-related insomnia. Avoid sleeping pills, which only treat symptoms and can have dangerous side effects. Cognitive behavior therapy can pinpoint the causes and get you snoring in no time. Even the Mayo Clinic agrees! 5. Stress and high cholesterol, as well as cortisol stress. Of course, these are of great concern since they are silent. Only a blood test and/or stress test will find it. 6. Stress and chest pain. Learn more on stress management techniques and stress and chest pain from my clinical subsidiary. 7. Stress-caused acne. Teen stress is not the only cause, it happens when you are an adult too. Relax! 8. Escapism stress. Watching TV or surfing the ‘Net for hours every day, eating more than usual, drinking more than usual, gambling, etc. Of course, there are many, many other symptoms of stress as well. Where they show up (Digestive tract? Joints? Back?) is often a combination of genetics (what parts of you are less resilient than others, thus will show wear and tear sooner) and traits unique to you. Stressed about stress yet? Don’t worry, there’s a way out! Meditation doesn’t have to be hours of “ohms,” it can comprise of any repetitive action, really. This includes walking, swimming, painting, knitting, or any activity that will help keep your attention present and calm. Shoot for just 5 or 10 minutes a day and you’ll see a big difference. If you have a talkative mind, learn to quiet it! Create a peaceful visualization like a favorite vacation spot or the feel of your favorite sweater. Stress automatically evokes tense, shallow breathing, so be sure to keep it in check before low oxygen levels start making things even more difficult. Do you work in employee management? How do you motivate employees to work harder? These three simple rules will help increase employee engagement. 1. First, you must be absolutely clear on the values and goals of your company. If you don’t know these, then your first assignment is cut out for you. Until company heads know implicitly what they seek to accomplish, they cannot expect loyalty from their subordinates. No one follows an indecisive leader into battle, or on the job front. It is essential then that both employer and employee know and appreciate the company philosophy and goals. After your company objectives are securely in place, recruiting supportive employees and educating old ones becomes your next priority. You may find that you will need to let go of people who aren’t aligned with your newfound objectives. “Bill,” a colleague of mine and president of a small brokerage firm, hired a man who was an extremely talented broker. Problems began to arise, however, when Bill noticed that “Glen” was not a team player. Glen didn’t support the direction Bill was taking the company and, as a result, Glen became apathetic to company matters. The other employees began taking sides, and eventually company morale diminished. Glen’s inability to follow Bill’s lead split the company in two and destroyed what Bill had worked hard to accomplish. The firm went under. Company heads should diligently look for people who have strong work ethics and share enthusiasm about the company direction. This practice prevents excessive employee turnover and misplacement of people in jobs. It is important to continually clarify and reiterate company values and goals to employees. Executives of The Ford Motor Company utilized this knowledge a few years back to speed the company’s recovery process. Ford developed the motivational acronym MVGP that stands for “Mission, Values, and Guiding Principles.” MVGP spells out what Ford stands for, what it expects from its employees, and the level of quality to which it aspires. A copy of the MVGP plan was mailed to all Ford employees. The letters MVGP are plastered all over the walls of the corporate offices and over the walls of the automotive plants. 2. Apply specific feedback right after a task is accomplished. Judy Komaki of Perdue University undertook a study touting the importance of feedback. According to Komaki, feedback specifically applied to activities right after they are done gives subordinates a feeling of purpose and as such, has a performance-enhancing effect. In contrast to Komaki’s findings, if communication only takes the form of instructions from the supervisor, subordinates often do the minimum to get by. When a job is well done, positive feedback from management encourages employees to “keep up the good work.” Years ago I worked as a consultant for a company that provided financial planning for middle-income families. Planners weren’t building clientele as quickly as market research indicated was possible. I identified the problem as one of low manager involvement. Managers weren’t giving planners specific feedback on their work and consequently, clear sales strategies and motivation were lacking. I instructed managers to first select particular skills for planners to develop and then monitor the results of the practiced skills. Monitoring resulted in an immediate increase in sales for the organization. Employee involvement techniques such as participative decision-making, selfmanaging work teams, and suggestion systems raise morale and feelings of responsibility and involvement. Studies show that the larger a person’s stake in a company, the greater his level of loyalty. Communication encourages loyalty. 3. In order to increase employee engagement, all individuals, everyone in the organization, must work to achieve objectivity. This applies to everyone, from the executive suite to the mail room. Objectivity is the gift of power bestowed upon employees by employers, enabling them to step outside the system for the purpose of accessing what’s wrong. If people are given the tools for attaining objectivity, they will seldom feel a loss of control over themselves and situations. An investment in seminars and literature to this effect will prove highly worthwhile. Generally, employees in large companies are responsible for a fraction of the whole picture. Objectivity reminds them of the company goal, allowing these workers the insight to move forward. The dreaded disease of apathy often accompanies the feeling of ineffectiveness. If employees feel they can contribute, loyalty will be enhanced. 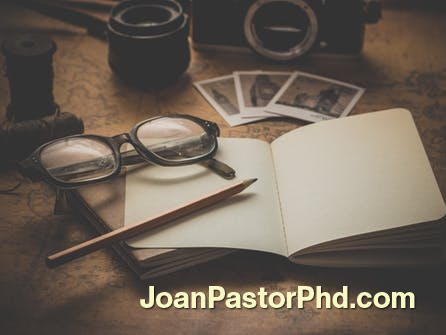 • Objectivity fosters feelings of effectiveness because it allows one to positively influence a situation. If an employee feels like a non-contributor, he or she has no perception of her worth in the company, no feeling of influence or purpose. He or she will atrophy, and the company will eventually lose this employee’s strength. • Open communication is an extremely important ingredient for instilling loyalty. Constructive feedback keeps an employee posted on his or her relationship to the company works and as a result, he or she is likelier to take pride and responsibility in his or her actions and contributions.